Nashville, TN -- Sage Brush Music and Silver Stirrup Music companies are proud to announce the #1 song for bluegrass music group Lou Reid & Carolina's "Carolina Moonshine Man" on the November 2012 Bluegrass Unlimited magazine’s Top 30 Song Chart. 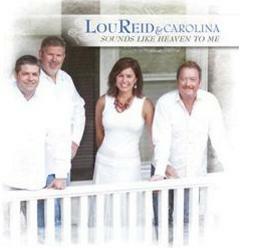 The song, written by Ray Edwards, Terry Foust and Lou Reid, appears on Lou Reid and Carolina’s album, Callin' Me Back Home. Lou Reid and Carolina are based out of Union Grove, North Carolina. The band began in 1992, with it's sound largely based in traditional bluegrass music roots with emphasis on dynamic vocals. The current band is no exception. The Americana Music area is currently featuring Lou Reid & Carolina. Country-Cooperative is a set of companion sites designed specifically to service Indie musicians in the country, gospel, folk and bluegrass music genres. Country Cooperative offers self-managed listings and present our members to a 24/7, U.S. television audience of 4.2 million households.